It is almost unanimously accepted that social media is important for any business. Companies, both large and small, use social media to connect with their fans, boost their sales, and market their brand. So much so that social media is becoming the voice of many companies. Social media has another purpose as well though. In addition to being your company’s voice, it can also be its ears. Although it is not as flashy nor, seemingly, as proactive, using social media for “social listening” can be just as crucial for your brand. If you’re running a business, then you know the importance of good customer service. Whether a customer needs help setting something up, or they have a serious complaint, a good customer service strategy will keep (at least most of) your customers happy. Customer service before social media was much simpler though. It used to be that if a customer had a problem then either they would have to call/email the company, or go into the physical store. Social media changed all that. Now customers have immediate access to just about any brand via Facebook, Twitter, Google+, and all the rest. If a customer has a problem they can just post on the company’s Facebook wall and expect a response. And trust me, your customers will post and they will expect a response. According to NM Incite as of 2012, 47% of social media users sought customer support on social media. By now that number has certainly grown. Not only do your customers expect a response from you, they expect it quickly. A study done by Edison Research shows that 42% of people expect a response within an hour after they post, and 67% of people expect an answer the same day. This means you have to be prepared not only to respond to customer requests on social media, but to respond quickly. Why is it so Important to Respond? There are a few major reasons why it’s crucial to respond quickly and appropriately. First and foremost, these are (for the most part) your customers that are commenting. Your customer’s happiness should be your utmost priority, because the happier your customers are with your business, the more they will buy from you. The second reason is damage control. Once something is posted on social media, it can be seen by anyone. One negative post from a customer can outweigh five positive ones (NM Incite). Finally, by responding quickly to a negative post not only can you prevent the post from having a negative effect on your brand, you can turn it into a positive by showing your customers that their complaints matter, and you are there to fix them. For this very reason, you should try to avoid deleting negative comments about your brand, and instead work on responding appropriately. Did I respond directly to the complaint? Nothing is more annoying to someone with a complaint than a response that either doesn’t help or deflects the question by immediately redirecting them. Even if all you need to do is to direct them to a webpage that will answer their question, at least make reference to the solution in your response before directing them to the webpage. Did I use a respectful and courteous tone? No matter how obnoxious the person who you are responding to is, you should never stoop to their level. Always maintain your professionalism. Was I personable? Customers love interacting with brands on social media because they feel like it brings them one step closer to them. They want a personal connection. When they make a complaint it is no different — they want a response that is personal. Did I acknowledge my mistake? If you made a mistake, then take the blame. Mistakes happen. Everyone knows that. Your customers will respect you more for admitting mistakes than if you pretend like you don’t make any. Did I use appropriate grammar and spelling? Review what you wrote in order to be sure that it is all grammatically sound. How Should You Keep Track of Customer Service Requests? There are a few things you can do in order to keep track of and respond to complaints and questions on social media. Dedicate time and man power. The only way you will stay on top of your brand’s social media reputation is if you take the time to do it. If you have a big enough company, then you can have your social media manager or marketing manager take on this responsibility. If not, then the burden rests on your shoulders. If you have someone monitoring it at all times, then they will be able to respond very quickly. But if you have a small business and monitoring social media all day is not something you have time to do, then you should set aside time in the morning, afternoon, and evening to check your social media channels for any comments. Use tools to help you. There are a lot of tools out there that can monitor mentions of your brand name on social media. A great example of one is Mention. Mention enables you to set a keyword that you would like to track (for example your brand name). It will then track this keyword across millions of sources and give you a live update any time it is mentioned. You can also connect your Twitter, Facebook, and Buffer accounts to Mention in order to respond to the mentions immediately. Social media gives you instant access to your fans opinions. Use this to your advantage. For example, when you create new products, it’s safe to assume that you create things that you think your customers will like. Otherwise, why would you create new products? But how do you know that they will like your new product? Of course you will do research and you will look at past purchasing patterns, but why not just ask them for their opinion on social media? New Products: If you’re debating between a few options for the next product you will produce, you can ask your fans their opinion to see which one seems to be the most popular. Customer Satisfaction: You can ask your fans their general satisfaction with your brand, or you can also ask them about their satisfaction with specific products. Another thing you can do is to ask your fans to vote between a few of your products for their favorite. 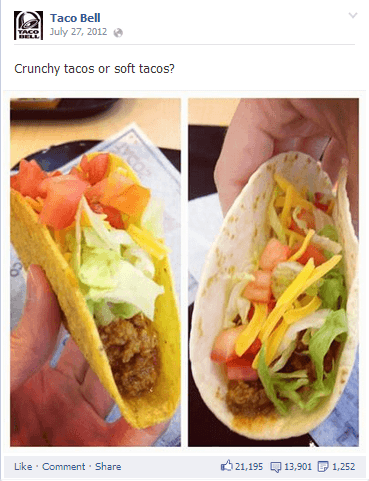 Advertising Research: You can ask your fans what type of image they like better and then use their favorite in an ad. You can also do this more subtly by polling them about lifestyle preferences. Once you have a better understanding of their preferences you can then compose ads that appeal to them. This is obviously not the only method you should use to make decisions, but it is an excellent resource for getting a general idea of what your fans think. You shouldn’t ask your fans about every decision that you plan on making. Think logically about what you will ask your fans. By simply asking a question and listening to what your fans have to say you can learn a lot of valuable information that can help your company. In the first section we discussed monitoring for mentions of your brand in terms of customer service. You can also monitor your brand name in order to hear what people are saying about your brand and your products. 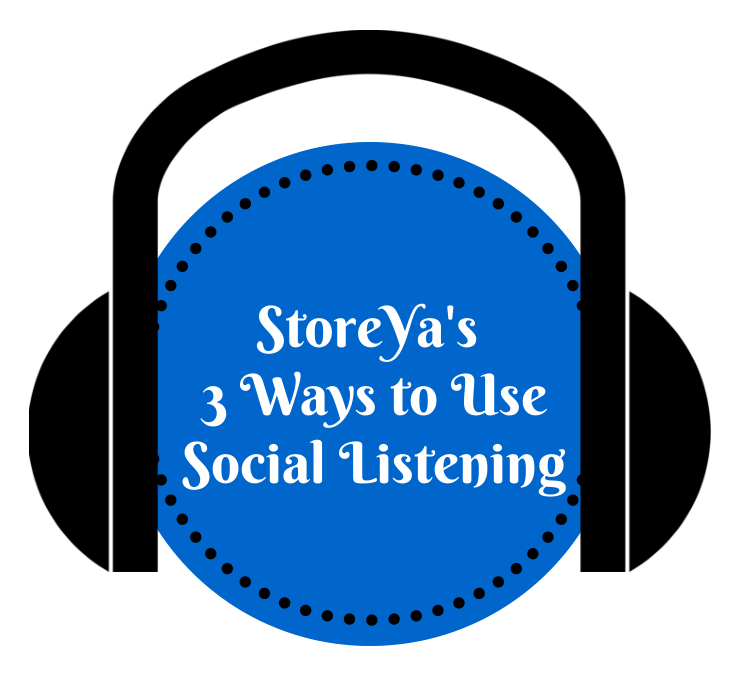 This is another way that you can use social listening to learn your customer’s opinions. Monitoring social media can help you to stay ahead of your competition as well. Obviously you can look at what your competitors do on social media and see where their successes come from, but there is more that you can and should be doing. Find where your competition is weakest and strengthen yourself there. For example, if you see that your competitor is mentioned a lot on Twitter, but they don’t really respond, then you should take that opportunity for yourself. Respond to anyone who mentions you on Twitter and then reach out to the people mentioning your competitor. By finding where your competitor is weakest, you can capitalize on the situation and gain new customers. Note: You can also monitor to see where your competitor is mentioned the most or is strongest. This is also important for you to be able to break into their customer base. The same way you listen for the opinions of your own fans, you can listen for the opinions of your competitor’s fans. If there is something that your competitor does which elicits a very positive or a very negative response then you want to know what it is. If there is a specific product of theirs which many people are talking about, again, you want to know about it. Knowledge is power. The more you know, the better equipped you will be to counter the actions of your competitors. Maintain the happiness of your customers through quick and efficient customer service. Learn the true opinions of your customers in order to determine future actions of your company. Learn about the strengths and weaknesses of your competitors in order to create a counter strategy. So go ahead and continue using social media as the voice of your company — just don’t forget to listen before you speak! Do you use social listening for any other purposes? We’d love to hear your ideas and comments in the space below.